NIA-CHARLESTOWN NEVIS (April 05, 2011) — Deputy Premier and Minister responsible for Sports on Nevis Hon. Hensley Daniel had nothing but praise for the organisers of the 8th international Triathlon on Saturday and stated that Nevis would not have been selected as a venue, if the island did not have the necessary infrastructure in place to host a TRISTAR branded Triathlon. Mr. Daniel’s comment came when he spoke to the Department of Information at the event’s hub on the picturesque Charlestown Waterfront under brilliant sunshine. 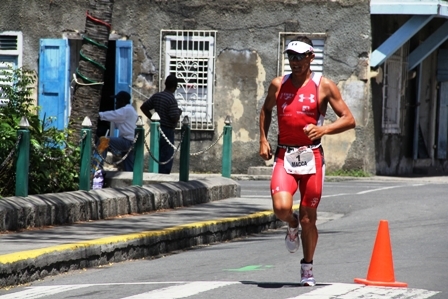 On Saturday, Nevis became the only island outside of Europe to host the triathlon. “Remarkable, remarkable is what we are supposed to call this excellent, performance matters. As you can see from the performance of the athletes, swim, bike, run triathlon, we are pleased to have brought them here the only country to have brought this outside of Europe, that’s a significant feat and they would not come if we were not prepared. “They would not come if we did not have the infrastructure and the collaborative network to make it happen. So we are pleased to have the 8th international Triathlon here with us today and I can see from the turn out of the people of Nevis and from the enthusiasm of the athletes that it was well worth their choosing,” he said. Notwithstanding, Mr. Daniel said he was hopeful that the prestigious sporting event which was attended by the world’s number one Tri athlete Mr. Chris McCormack affectionately known in the triathlon community as Macca, along with his colleagues from across the globe, would serve as a learning experience in commitment and endurance for the athletes of Nevis. “I realise this morning the number one international triathlete in the world he set out this morning to let the rest of us understand why he is the first, he was way ahead of the game. Quite good and so I am happy to see so many young people. “I would hope from this, our athletes would see the kind of effort that is required to succeed at this level, the kind of passion, the kind of commitment and the physical and mental strength which is required. 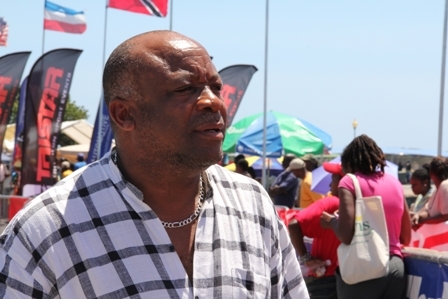 That is what I hope will be diffused in the Nevis community from this triathlon,” he said. The Minister also registered hope that the event was the first of many and noted his satisfaction with the level of organisation throughout the island that had been in readiness for the athletes. 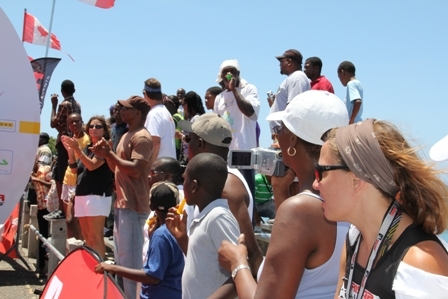 Mr. Daniel said the Nevis Island Administration saw the major sporting event as a marketing strategy for the island, which engaged several key areas and lured visitors to experience Nevis as a destination of choice. “We certainly see this as a marketing strategy for the country where people come and we bring people here and it hooks into tourism, it hooks into [our] culture… and so for us it has been a tremendous exercise in collaboration with our Public Works Department who prepared the tracks, our Ministry of Culture, our Ministry of Tourism and of course our Ministry of Sports. “So we are happy to have them and thank them for choosing Nevis and we believe based on what has happened over the last few days, Nevis is going to be a stiff, stiff competitor in the future,” he said.